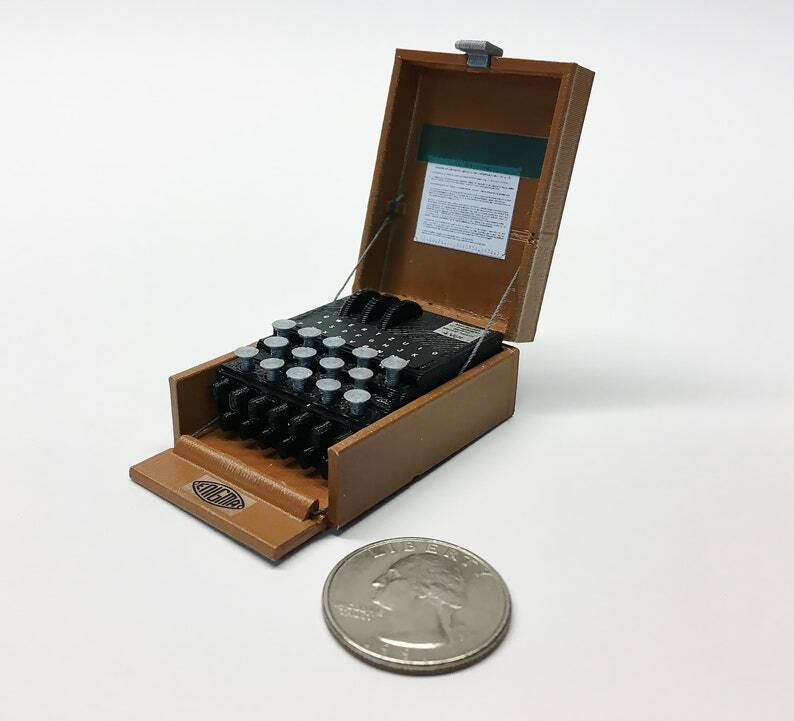 This tiny, 2" Enigma Machine was designed using open source CAD software, 3D printed on a Makerbot Replicator, and hand painted and assembled. A great addition to your desk or studio. Includes one machine. 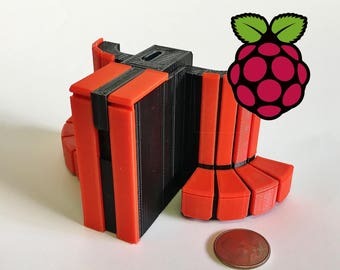 Mini Cray Y-MP Raspberry Pi Zero case kit - 3D Printed! Mini IMSAI 8080 "Wargames" set - 3D Printed! Very cool item. High quality, realistic. The hinges are threads but work well, and were undamaged in shipment. Mini Apollo DSKY module - 3D printed! Mini Altair 8800 - 3D Printed! Mini Heathkit H89 - 3D Printed!